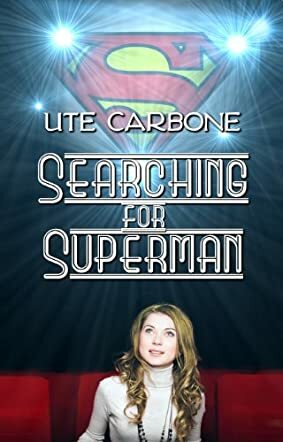 Searching for Superman by Ute Carbone is mostly a sweet romantic story of Stephanie Holbrook looking for her dream man. She meets Doug Castleberry at her niece’s fifth birthday party and because of a mix-up with entertainment characters he comes dressed as Superman, though they had ordered Cinderella. Doug is instantly attracted to Stephanie but she just sees him as a nice guy. Stephanie prefers dating Hawk and Gary. There is trouble at the Rialto Theater where she works trying to renovate it and save it from being torn down. Conrad is her boss and he truly loves the Rialto and all it stands for. Herb is the man they turn to for funding, but he becomes much more than that. All of this connects together as we read and become enmeshed in the romance, the suspense, the everyday funny events, and the everyday problems of Stephanie and her friends. Ute Carbone has written a good book with likeable characters and a good plot. When you read Searching for Superman, you are pretty sure you know the ending right from the start, but it doesn’t matter because you want to share in the 'how does it get there' and 'maybe I am wrong about that idea.' Searching for Superman is a quick, light read that will leave you smiling. Ute Carbone’s writing pulls us right into the pages of the book and makes it real. Searching for Superman was a feel-good story with an easy to follow plot and very likeable characters. I recommend this to all women who enjoy a good love story with a touch of suspense thrown in. Searching for Superman will make you smile and be glad you took the time to read it.